Update 9/14: Christmas was a stunt after all. Instead of 104 days of Christmas, WBQW just offered one before flipping to CHR as “Hot 104.7“. Debuting with 5,000 songs in a row, the station is taking direct aim at Cumulus’ “Q97.9” WJBQ. Ryan Dillon, most recently APD/MD at Impact Radio Group’s “Wild 101” KWYD Boise has been named Program Director for WBQW. Listen to the launch of Hot 104.7 at FormatChange.com. Original Report 9/12: With Mainestream Media about to assume operations of 104.7 WBQW Kennebunkport ME on Thursday, the station is preparing to launch with a stunt that will definitely generate attention. 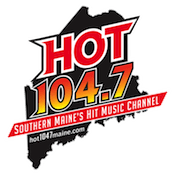 Christmas1047.com and 1047ChristmasFM.com are live proclaiming WBQW as “Southern Maine’s Official Christmas Channel”. The site is hyping that the station will run Christmas music for 104 days running from September 13 until December 27. Last year the first Christmas music flip took place on October 17. While it is inevitable that we will eventually see a station turn to holiday favorites in September this seems way too early of a start. It is possible that the station is simply looking to buy time while it develops its permanent format, but we’re going to go out on a limb and say that this is a short-term stunt prior to the debut of the permanent format. I think this all-Christmas stunt [b]will indeed[/b] continue until December 27th. It might get some listeners and revenue from retail advertisers. And from the 27th through New year’s Eve, there likely will be a short-term stunt of some kind, with the “permanent” format premiering on January 1st, 2013. That prediction failed to pan out. FWIW, there is a station in northern Michigan that has been on the air in test mode with Christmas music since JUNE. It’s 106.3 WYPV Onaway/Cheboygan MI. Slickly produced. Dr. Dave Ferguson the station voice. Cumulus CHR is going to get whacked. this re-incarnation of ‘JBQ has been real whitebread, unlike the original ‘JBQ where PD Brian Phoenix had to be the only one north of New Haven CT to play ‘Gotta Get You Home With Me Tonight’ by Eugene Wilde back in l985. so a competitor playing ‘today’s top 40’ which is largely R&B/Hip-Hop in this day and age should do well.